e i r e p x E s r e b i Subscr i e p c S f o d l a Wor PPAC GETS YOU ON THE GUEST LIST Subscribers are able to order tickets to MOST shows before they go on sale to the general public, whenever possible. 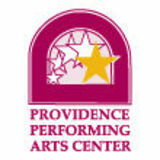 Visit ppacri.org/about and sign up for our weekly e-newsletter ShowTimes Online. As a subscriber, you will also receive our ShowTimes newsletter in the mail (printed nine times per year). OPT OUT This season, PPAC is pleased to continue offering eight shows in our Taco/White Family Foundation Broadway Series. Broadway Series subscribers have the option to “opt out” of one show in the Series, which will reduce the cost of the subscription. The “opt out” must be done at the time of purchase. The "opt out" benefit does not apply to Encore Series subscribers. PPAC PUTS YOU FRONT & CENTER Renewing subscribers get guaranteed seating locations from season to season and new subscribers get first choice of best available seating. Subscribers can pre-order refreshments before any Taco/White Family Foundation Broadway Series subscription performance. They will be ready for pick-up at intermission in the special White Glove Subscriber Service area. BROADWAY: AN AFFORDABLE LUXURY! If you renew or purchase a subscription by Sunday, June 2, 2019, you can take advantage of our ten installment monthly payment plan (refer to page 16 for details). ence ial Benefi ts! SCHEDULING GLITCH? MAKE A SWITCH! If you cannot attend your scheduled subscription performance, you may exchange your ticket(s) for best available seating to another performance of the same show by calling the Box Office at (401) 421-ARTS (2787) BEFORE your scheduled performance. For example, tickets may be exchanged from a Wednesday evening performance to a Sunday evening performance of Disney's ALADDIN, but the switch cannot be made into a different show. BE SAFE; BE SMART ABOUT SECONDARY TICKETING! The PPAC Box Office is your only OFFICIAL source for tickets to a show at PPAC. Read more on page 16. PRESIDENT'S CLUB Become a President's Club member and enjoy special amenities: lounge area with TV, bar, private restrooms, coat storage, and more! Subscribers may purchase a two-person President's Club membership by making a $1,000 tax-deductible donation to the PPAC Annual Fund. Non-subscribers may purchase a two-person President's Club membership by making a $1,500 tax-deductible donation. For more information, contact Claudia Zompa at czompa@ppacri.org or (401) 574-3122. Walk-through metal detectors are now used at ALL PPAC performances! Read our full Security Policy on page 19. PHOTO CREDITS FROM COVER: Ben Levi Ross as 'Evan Hansen,' Aaron Lazar as 'Larry Murphy,' Christiane Noll as 'Cynthia Murphy' and Maggie McKenna as 'Zoe Murphy' in the First North American Tour of DEAR EVAN HANSEN. Photo: Matthew Murphy, 2018; HELLO, DOLLY! National Tour Company – Photo: Julieta Cervantes 2018; The First North American Tour Company of COME FROM AWAY. Photo: Matthew Murphy, 2018; A scene from BLUE MAN GROUP; A scene from Jimmy Buffett’s ESCAPE TO MARGARITAVILLE. Photo by Matthew Murphy, MurphyMade 2019; Yehezkel Lazarov in FIDDLER ON THE ROOF. Photo: Joan Marcus; A scene from THE SPONGEBOB MUSICAL. Photo Jeremy Daniel 2019; From JESUS CHRIST SUPERSTAR. Photo: Evan Zimmerman, MurphyMade; Philip Huffman as The Grinch and the 2016 Touring Company of Dr. Seuss’ HOW THE GRINCH STOLE CHRISTMAS! The Musical; Lissa deGuzman (Jasmine) and Clinton Greenspan (Aladdin). ALADDIN North American Tour. Photo: Deen van Meer. © Disney; Young Calogero and Lorenzo - A BRONX TALE - photo by Joan Marcus. PHOTO CREDITS FROM THIS SPREAD: From JESUS CHRIST SUPERSTAR. Photo: Evan Zimmerman, MurphyMade; Michael James Scott as Genie in ALADDIN. Photo by Matthew Murphy. © Disney; Ben Levi Ross as 'Evan Hansen' and Jessica Phillips as 'Heidi Hansen' in the First North American Tour of Dear Evan Hansen. Photo by Matthew Murphy. 2018; The First North American Tour Company of COME FROM AWAY, Photo by Matthew Murphy, 2018. Nationa l Tour Launch es at PPAC! Welcome to Margaritaville, where people come to get away from it all—and stay to find something they never expected. Get ready for a hilarious and heartwarming musical with the most unforgettable songs from one of music’s greatest storytellers. USA Today calls it "A little slice of paradise!" and Entertainment Weekly raves, "It will knock your flip-flops off!" So don’t let the party start without you! Please Note: ESCAPE TO MARGARITAVILLE has a unique performance schedule, which affects Series D (Sunday 1P) and Series E (Sunday 6:30P) subscribers. The Series D and Series E subscription performances take place on Sunday, September 29. From Jimmy Buffett’s ESCAPE TO MARGARITAVILLE. Photo by Matthew Murphy, MurphyMade 2019. OCTOBER 29 =– NOVEMBER 10, 2019 Discover a whole new world at Disney’s ALADDIN, the hit Broadway musical. From the producer of The Lion King comes the timeless story of ALADDIN, a thrilling new production filled with unforgettable beauty, magic, comedy and breathtaking spectacle. It’s an extraordinary theatrical event where one lamp and three wishes make the possibilities infinite. See why audiences and critics agree, ALADDIN is “Exactly What You Wish For!” (NBC-TV). Please Note: ALADDIN will not have a performance scheduled on Thursday, October 31 (Halloween), which affects Series H (Thursday 7:30P) subscribers. The scheduled Series H performance is on Thursday, November 7 at 7:30P. pages 15 and 19 for more information on BankNewport Family Night! Friend Like Me. Aladdin North American Tour. Photo by Deen van Meer. © Disney All dates, programs, times, and single ticket pricing may be subject to change without notice. // Performance times (unless otherwise noted*) for the Taco/White Family Foundation Broadway Series are Tuesdays & Wednesdays at 7P, Thursdays & Fridays at 7:30P, Saturdays at 2P & 8P, and Sundays at 1P & 6:30P. DECEMBER 3 =– 8, 2019 Broadway’s COME FROM AWAY is a Best Musical winner all across North America! This New York Times Critics’ Pick takes you into the heart of the remarkable true story of 7,000 stranded passengers and the small town in Newfoundland that welcomed them. Cultures clashed and nerves ran high, but uneasiness turned into trust, music soared into the night, and gratitude grew into enduring friendships. On 9/11, the world stopped. On 9/12, their stories moved us all. FEBRUARY 11 =â&#x20AC;&#x201C; 16, 2020 TonyÂŽ-winning director Bartlett Sher brings his fresh take on a beloved masterpiece to life as FIDDLER ON THE ROOF begins a North American tour direct from Broadway. A wonderful cast and a lavish orchestra tell this heartwarming story of fathers and daughters, husbands and wives, and the timeless traditions that define faith and family. To love! To life! The Cast of Fiddler on the Roof. Photo by Joan Marcus. All dates, programs, times, and single ticket pricing may be subject to change without notice. // Performance times (unless otherwise noted*) for the Taco/White Family Foundation Broadway Series are Tuesdays & Wednesdays at 7P, Thursdays & Fridays at 7:30P, Saturdays at 2P & 8P, and Sundays at 1P & 6:30P. MARCH 3 =– 8, 2020 Winner of four Tony Awards including Best Musical Revival, HELLO, DOLLY! is the universally acclaimed smash that NPR calls “the best show of the year!” and the Los Angeles Times says, “distills the mood-elevating properties of the American musical at its giddy best.” Director Jerry Zaks’ “gorgeous” new production (Vogue) is “making people crazy happy!” (The Washington Post). After breaking box office records week after week and receiving unanimous raves on Broadway, HELLO, DOLLY! is now touring America, paying tribute to the original work of legendary director/choreographer Gower Champion – hailed both then and now as one of the greatest productions in musical theatre history. MARCH 31 =â&#x20AC;&#x201C; APRIL 5, 2020 JESUS CHRIST SUPERSTAR is an iconic musical phenomenon with a world-wide fan base. In celebration of its 50th Anniversary, a new mesmerizing production comes to North America. Originally staged by London's Regent's Park Open Air Theatre and helmed by the acclaimed director Timothy Sheader (Crazy for You, Into the Woods) and award winning choreographer Drew McOnie (King Kong, Strictly Ballroom), this production won the 2017 Olivier Award for Best Musical Revival, garnering unprecedented reviews and accolades. Appealing to both theatre audiences and concert music fans, this production pays tribute to the historic 1971 Billboard Album of the Year while creating a modern, theatrical world that is uniquely fresh and inspiring. With music and lyrics by Emmy, Grammy, Oscar and Tony winners Andrew Lloyd Webber and Tim Rice, JESUS CHRIST SUPERSTAR is set against the backdrop of an extraordinary series of events during the final weeks in the life of Jesus Christ as seen through the eyes of Judas. Reflecting the rock roots that defined a generation, the legendary score includes "I Don't Know How to Love Him," "Gethsemane, " and "Superstar." Photo Credit: Evan Zimmerman, MurphyMade All dates, programs, times, and single ticket pricing may be subject to change without notice. // Performance times (unless otherwise noted*) for the Taco/White Family Foundation Broadway Series are Tuesdays & Wednesdays at 7P, Thursdays & Fridays at 7:30P, Saturdays at 2P & 8P, and Sundays at 1P & 6:30P. MAY 12 =– 17, 2020 A legendary roster of Grammy® Award winners. A visionary director and a Tony Award®-winning design team. One of the world’s most beloved characters. Turn them loose on stage and what do you get? The musical The New York Times declares, “BRILLIANT!” Broadway’s best creative minds reimagine and bring to life the beloved Nickelodeon series with humor, heart, and pure theatricality in “a party for the eyes and ears” (Daily Beast). Explore the depths of theatrical innovation in THE SPONGEBOB MUSICAL, 2018 Best Musical winner of the Drama Desk and Outer Critics Circle Awards, where the power of optimism really can save the world. BANKNEWPORT FAMILY NIGHT AT THE SPONGEBOB MUSICAL IS WEDNESDAY, MAY 13 AT 7P. With the purchase of a regularly-priced ticket, receive one complimentary ticket of the same value for a child aged 18 or younger. Tickets are limited and available on a first-come; first-served basis. See pages 15 and 19 for more information on BankNewport Family Night! Photo from The SpongeBob Musical. Photo Jeremy Daniel 2019. MAY 26 =– 31, 2020 Winner of 6 Tony Awards® including Best Musical and the 2018 Grammy Award, DEAR EVAN HANSEN is the deeply personal and profoundly contemporary musical about life and the way we live it. The Washington Post calls DEAR EVAN HANSEN "one of the most remarkable shows in musical theater history." The Company of the First North American Tour of Dear Evan Hansen. Photo by Matthew Murphy. 2018 All dates, programs, times, and single ticket pricing may be subject to change without notice. // Performance times (unless otherwise noted*) for the Taco/White Family Foundation Broadway Series are Tuesdays & Wednesdays at 7P, Thursdays & Fridays at 7:30P, Saturdays at 2P & 8P, and Sundays at 1P & 6:30P. Sensory-Friendly Performance Available! See page 17 for more information. Discover the magic of Dr. Seuss’ classic holiday tale as it comes to life on stage. Featuring the hit songs “You’re A Mean One, Mr. Grinch” and “Welcome Christmas,” The Grinch discovers there’s more to Christmas than he bargained for in this heart-warming holiday classic. Max the Dog narrates as the mean and scheming Grinch, whose heart is “two sizes too small,” decides to steal Christmas away from the Whos, an endlessly cheerful bunch bursting with holiday spirit. Celebrate the holidays with the show The New York Times calls "100 times better than any bedtime story!" BANKNEWPORT FAMILY NIGHT AT DR. SEUSS' HOW THE GRINCH STOLE CHRISTMAS! THE MUSICAL IS WEDNESDAY, DECEMBER 18 AT 7P. information on BankNewport Family Night! FEBRUARY 21 = 23, 2020 Three years ago, Academy Award nominee Chazz Palminteri teamed up with Academy Award® winner Robert De Niro, Tony® Award winner Jerry Zaks and Tony® Award nominee Sergio Trujillo to create this streetwise musical - based on Palminteri's true life story. A BRONX TALE, Broadway's hit crowd-pleaser, takes you to the stoops of the Bronx in the 1960s, where a young man is caught between the father he loves and the mob boss he'd love to be. Bursting with high-energy dance numbers and original doo-wop tunes from Alan Menken (Beauty and the Beast) and Glenn Slater (Love Never Dies), A BRONX TALE is an unforgettable story of loyalty and family. The New York Times hails A BRONX TALE as "A Critics' Pick! The kind of tale that makes you laugh and cry." All dates, programs, times, and single ticket pricing may be subject to change without notice. // Performance times (unless otherwise noted*) for the Encore Series are Fridays at 7:30P, Saturdays at 2P & 8P, and Sundays at 1P & 6:30P. music, comedy, and non-verbal communication. Since debuting at New Yorkâ&#x20AC;&#x2122;s Astor Place Theatre, the live show has expanded to additional domestic residencies in Boston, Chicago, Las Vegas and Orlando, an international residency in Berlin, and multiple North American and World Tours, reaching more than 35 million people worldwide. BLUE MAN GROUP is universally appealing to a broad range of age groups and cultural backgrounds, and continually injected with new music, fresh stories, custom instruments, and sensory stimulating graphics. EDUCATION & COMMUNITY OUTREACH NEW! Experience PPAC This brand new, state-wide education initiative will provide every 10th grader in Rhode Island with an opportunity to see a select Broadway show at PPAC. This education initiative is made possible by PPAC’s Board of Directors and Staff, who strongly believe in the value of arts education. Working with PPAC, bus transportation company FIRST STUDENT will provide transportation to and from these shows. Tickets to these shows and busing transportation are paid for by PPAC; there is no charge to the students or their schools for the theatre tickets or for bus transportation. During the 2019/2020 season, sophomores will have the chance to see Thursday morning presentations of COME FROM AWAY and FIDDLER ON THE ROOF, with a third show to be announced. For more information on this program, please contact Director of Education, Dana Brazil at dbrazil@ppacri.org or (401) 574-3132. ARTS Scholarships, sponsored by Textron Charitable Trust and PPAC’s Annual Fund Donors, awards up to $500 each for 30 young Rhode Island artists who wish to attend summer arts education programs. This program is for children aged 11 through 14. The Bank of America Arts Showcase allows students of all ages to attend live performances of dance, music, or theatre at PPAC during the school day. This program is for Rhode Island school children and their teachers. 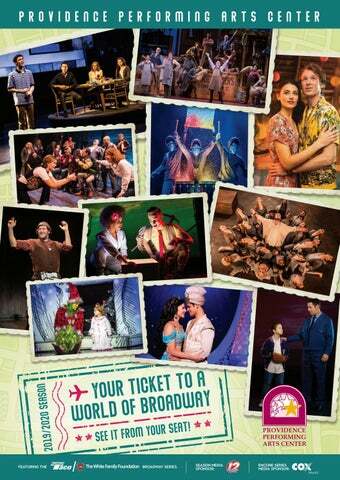 From Books to Broadway is designed to engage students of all grade levels with Broadway shows. Students attend a Broadway show with tickets underwritten by the Robert F. Stoico/FIRSTFED Foundation and experience either a post-show talkback with company members or an onsite visit to their school. Big Dreams Begin with Broadway is a program that provides seats for Big Brothers Big Sisters of the Ocean State so that “bigs” and “littles” can enjoy live theatre! BankNewport Family Nights encourage friends and families to experience the world of Broadway together! For the 2019/2020 season, BankNewport Family Nights are ALADDIN on Wednesday, November 6, Dr. Seuss' HOW THE GRINCH STOLE CHRISTMAS! The Musical on Wednesday, December 18, and THE SPONGEBOB MUSICAL on Wednesday, May 13. With the purchase of a regularly-priced ticket; receive one complimentary ticket of equal value for a child aged 18 or younger. Call the Box Office at (401) 421-ARTS (2787) to learn more. Now in its eleventh year, our Seats for Service Members program provides preferred orchestra seats to Rhode Island’s National Guard and their families to shows in our Taco/White Family Foundation Broadway Series and Encore Series. Next Stop Broadway® is a week-long performing arts program taught by Broadway professionals focused on classic Broadway shows for children aged 10 through 17. In addition to dance and vocal training, the program includes a mid-week "edu-tainment" segment, and culminates in an "Opening Night" performance. This program is sponsored in part by the Robert F. Stoico/FIRSTFED Charitable Foundation and PPAC's Annual Fund Donors. Our Wonders of the Wurlitzer Concert Series is a gift to the community from PPAC. Enjoy free lunch-time concerts performed by local organists on our "Mighty Wurlitzer!" SUBSCRIBE NOW... HERE'S HOW! NEW SUBSCRIBERS Call the PPAC Box Office at (401) 421-ARTS (2787) or Direct Response at (401) 574-3136 for complete details and assistance. Your subscription seats will be held until the renewal deadline, which is Sunday, June 2, 2019. Box Office Hours: M – F, 10A – 5P; Sat, 10A – 2P; and two hours prior to all curtain times on show dates. Summer Box Office Hours begin Monday, June 10, 2019: M - Th, 10A - 3P and two hours prior to all curtain times on show dates. Regular Box Office Hours resume Tuesday, September 3, 2019. Direct Response & Group Sales Hours (year-round): M – F, 9A – 5P. Both examples are based on location 2 ; see seating chart on page 19. "Travel the world with us" for as low as $54.15 a month for the Taco/White Family Foundation Broadway Series or just $19.48 a month for the Encore Series! Based on the ten payment plan, available through the subscription renewal deadline of Sunday, June 2, 2019. **These pricing examples are based on the purchase of ONE Series A (Friday Evening) Mid Orchestra subscription package. The total price is INCLUSIVE of the $25 per subscription handling fee. Please refer to page 18 for more information, or call the Box Office at (401) 421-ARTS (2787) or Direct Response at (401) 574-3136. The PPAC Box Office is your ONLY OFFICIAL ticketing source for tickets to a PPAC show. The only secure way to buy tickets to a PPAC production is via the Box Office window at 220 Weybosset Street in downtown Providence, online at ppacri.org and by phone at (401) 421-ARTS (2787). Purchasing from unauthorized sources will put you at risk for receiving counterfeit tickets. 10 Payment Plan: Available until the renewal deadline of 6/2/19. 8 Payment Plan: Available until 7/1/19. 4 Payment Plan: Available until 9/1/19. Two payment plan and payments in full accepted at any time! Payment plan options are for credit card payments only; charged monthly based on number of payments available on the date that the subscription order is placed. Payment plans are available for subscription orders of $100 or more. Please note that some restrictions may apply. FULL payments may be made at any time by credit card, check, or cash. Only ONE credit card is accepted per order. SPECIAL THEATRE INFORMATION NEW! SENSORY-FRIENDLY PERFORMANCE: PPAC will host a sensory-friendly performance of DR. SEUSS' HOW THE GRINCH STOLE CHRISTMAS! THE MUSICAL on Saturday, December 21 at 11A. Sensory-friendly performances were created to foster a welcoming environment for individuals with autism, special needs, sensitivities to light and sound, and their families. For more information on our sensory-friendly performance of DR. SEUSS' HOW THE GRINCH STOLE CHRISTMAS! THE MUSICAL, please contact the Box Office at (401) 421-ARTS (2787). ACCESSIBILITY SERVICES: The Arcade, Grand Lobby, and Orchestra Level are fully accessible from the Weybosset Street entrance. An elevator is located on the first floor, and provides access to the Mezzanine Level, and to seating in the First and Second Dress Balconies. ASSISTED LISTENING DEVICES are available free of charge on a first-come; first-served basis in the Grand Lobby across from the entrance of Aisle 5. A driver’s license or credit card will be requested as a security deposit. We are pleased to offer ASL Interpretation, Open Caption, and Visual Description upon request. Please call the Box Office for more information. CHILDREN’S POLICY: To ensure the enjoyment of all patrons, children under the age of six are not permitted to attend PPAC performances unless they are designated as a family show. Please call the Box Office to see which shows are appropriate for younger children. SMOKING, including the use of E-Cigarettes, is not permitted in the Theatre. GROUP SALES Groups of 15+ for most Broadway shows and 10+ for most family shows enjoy discounted rates! Visit ppacri.org/grouptickets to learn more, or contact Paul Hiatt at phiatt@ppacri.org or (401) 574-3162. The Broadway Bunch is a season-long social group for solo Tuesday night Taco/White Family Foundation Broadway Series subscribers. Meet for dinner before each show at a downtown restaurant with a great group of theatre-lovers! Contact Betty Benedetti at bbenedetti@ppacri.org or (401) 574-3119 for more information. CONCEPT/EDITOR: P.J. Prokop; CONTENT MANAGER: Caitlyn DiPompo; DESIGNER: Lindsay Letourneau, Tandem Designworks, Inc. Please see chart at right for seating locations; numbers and colors correspond to pricing. Please note that the listed subscription pricing includes a $3 per show restoration charge. An additional $25 handling fee will be added to each subscription package. Single ticket pricing is subject to change without notice; all prices include a $3 per ticket restoration charge. Regularly scheduled Taco/White Family Foundation Broadway Series performance times are Tuesdays & Wednesdays at 7P, Thursdays & Fridays at 7:30P, Saturdays at 2P & 8P, and Sundays at 1P & 6:30P. Regularly scheduled Encore Series performance times are Fridays at 7:30P, Saturdays at 2P & 8P, and Sundays at 1P & 6:30P. Taco/White Family Foundation Broadway Series subscribers who wish to exchange into PREMIUM seating for non-subscription performances of ALADDIN will need to pay the difference. Please see grids at left for dates and prices by Series and location. Enjoy front orchestra and loge seating in this package, with prices ranging from $243 (Encore Series) to $699 (Taco/ White Family Foundation Broadway Series). Experience Broadway from one of our most popular locations with prices ranging from $169.75 (Encore) to $516.50 (Taco). Great sightlines come together with great pricing to make this an affordable treat with prices ranging from $136 (Encore) to $425 (Taco). Easily accessible and budgetfriendly, this location offers excellent views and great acoustics with unbeatable pricing ranging from $39 (Encore) to $179 (Taco). BankNewport Family Night at Disney's ALADDIN is Wednesday, 11/6 at 7P; BankNewport Family Night at DR. SEUSS' HOW THE GRINCH STOLE CHRISTMAS! THE MUSICAL is Wednesday, 12/18 at 7P, and BankNewport Family Night at THE SPONGEBOB MUSICAL is Wednesday, 5/13 at 7P. With the purchase of a regularly-priced ticket, receive one complimentary ticket of equal value for a child aged 18 or younger. Golden Circle seating is excluded. Please call (401) 421-ARTS (2787) or visit the Box Office window to order; Family Night tickets are not available online. Tickets are limited and are available on a first-come; first-served basis. Standard service fees apply. These specially-priced senior citizen (60+) and student subscriptions are located in the Side Orchestra, the last 10 rows of the Rear Orchestra, and First Dress Circle. Specially-priced subscriptions are available for Saturday 2P (Series C), Sunday 1P (Series D), Sunday 6:30P (Series E), Wednesday 7P (Series G), and Thursday 7:30P (Series H) packages in the Taco/White Family Foundation Broadway Series as well as Saturday 2P (Series C), Sunday 1P (Series D), and Sunday 6:30P (Series E) packages in the Encore Series. Valid proof of status required for students and senior citizens. PPAC SECURITY POLICY: •	Guests entering PPAC are subject •	There is no secure storage area and to bag search at the discretion of confiscated items cannot be returned. •	PPAC requests that all guests arrive management. as early as possible and bring minimal •	Providence Police details are on site at personal belongings to the Theatre. •	Firearms, weapons, laptops, all PPAC events. briefcases, or suitcases are not •	PPAC Management reserves the right to •	Walk-through metal detectors are used allowed in the Theatre. at all doors. Please be prepared to change the security policy or implement remove phones from your pockets when •	Outside food and beverages are any security measures required for any going through the metal detectors. not permitted. performance without prior notice. THE USE OF ANY ELECTRONIC DEVICES IN ANY FORM DURING PERFORMANCES IS PROHIBITED (EXCEPT FOR PPAC TWEET SEATS, BY SPECIAL PERMISSION). (401) 421-ARTS (2787) • Fax: (401) 351-7827 box_office_questions@ppacri.org Hours: M – F, 10A – 5P; Sa, 10A – 2P; and two hours prior to all curtain times on show dates. BE SAFE; BE SMART! Read our Secondary Ticketing Advisory on page 16. Summer Hours (6/10/19 - 9/2/19): M - Th, 10A - 3P and two hours prior to all curtain times on show dates. From points north: take 95S to the Atwells Ave exit 21. Go straight through 4 traffic lights and turn left at the 5th traffic light onto Broad St, which becomes Weybosset St.